Classic southern style home with rocking chair front porch located on Golden Eagle golf course. This 5BD/4.5BA light filled home is richly appointed with wide plank heart pine flooring, built-ins, wonderful millwork and 10Ã¢Â€Â™ ceilings. 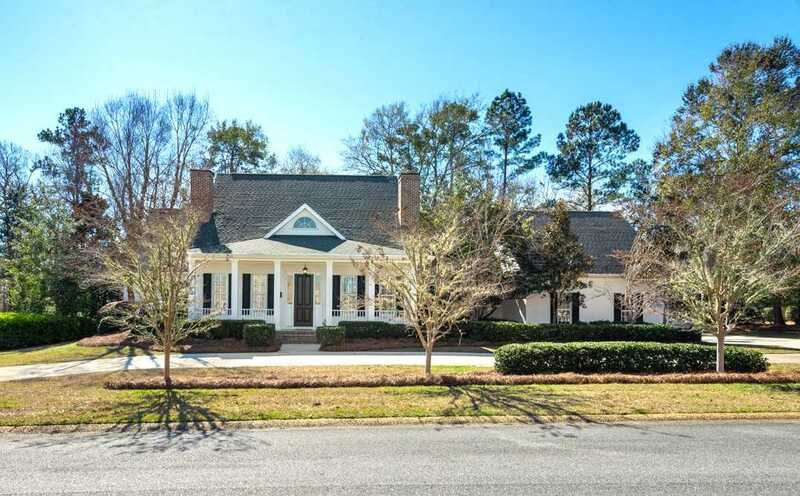 Main level features foyer, formal living and dining rooms each with gas fireplace, custom eat-in kitchen with herringbone brick paver flooring, study, and family room with French doors opening to the covered porch with views of the fairway. Downstairs master suite features coffered ceiling, bath with garden soaking tub, separate oversized shower, and his and her walk in closets. Additional bedrooms/baths and living space upstairs with 23x10 bonus storage room and balcony. Oversized 5th bedroom over garage with private bath and separate staircase. Drop zone off of 3-car garage. SchoolsClick map icons below to view information for schools near 9616 Deer Valley Drive Tallahassee, FL 32312.